The Thai government is developing a US$ 43 billion dollar project to boost the economic activity of three of its provinces – Rayong, Chonburi and Chachoengsao – which contribute over 20% to the nation’s GDP. The area will become a commercial hub known as Thailand’s Eastern Economic Corner (EEC). Recycling technology expert Danieli Centro Recycling expects the growth in the construction sector will benefit its business, as it caters to various steelmakers and scrap recyclers across the country. ‘Business is good. Our shredder sales are booming,’ reports Alessandro Menocci, ceo of Danieli Centro Recycling. ‘Recyclers and steelmakers are lining up for big capacity solutions. And we are confident that Thailand’s new investments in construction will yield some interesting business prospects for us,’ he told Recycling International in Thailand recently. Annually, Thailand generates around 27 million tonnes of end-of-life materials. Almost 5 million tonnes comes from the 14 million citizens living in the Bangkok Metropolitan Region. 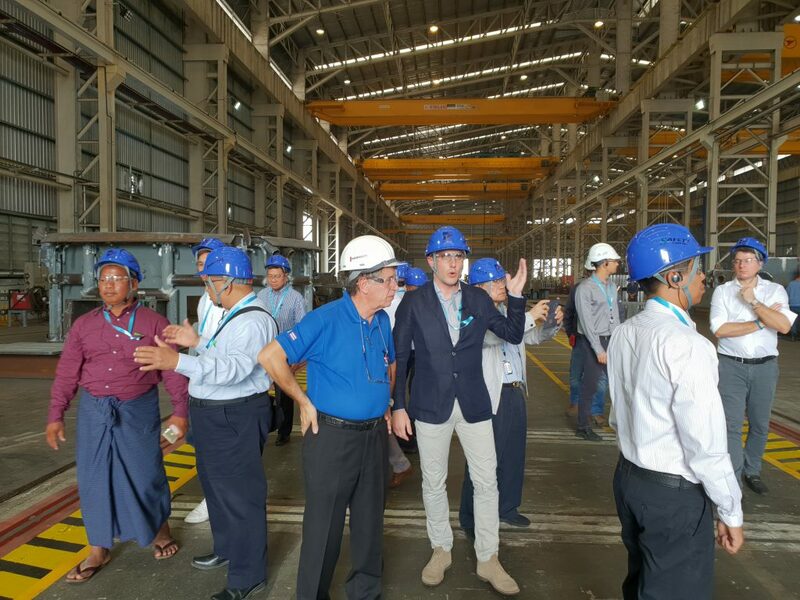 Danileli’s Asia headquarters is located in Changwat Rayong, where the company invited a delegation of steelmakers, recyclers, engineers and entrepreneurs to celebrate the group’s 100th anniversary. The Danieli team was proud to give a tour of its workshops, where employees were hard at work to assemble shredders, balers and shears. ‘We’re in talks with several Thai clients to upgrade their older equipment with newer models. And others would like to replace Asian tech with ours to increase their efficiency,’ Menocci explained. The difference can be a tripling in baler capacity per hour, for instance. ‘But keep in mind; a lot of recyclers in Thailand are family-owned companies. So investing in new technology is a step-by-step process that can take years,’ the ceo observed. In the new year, Danieli is eager to increase its activities in Vietnam – which is currently one of the fastest growing economies with roughly 7% GPD growth per year. In terms of recycling, however, this market is far from saturated. ‘We already have an office and warehouse in Vietnam. Setting up a service centre there would be a good addition,’ commented Guido Carnelutti, Danieli’s executive vice president. Curious? Take a look at our photo gallery for pictures of the trip. Stay tuned! A detailed report of the Danieli visit will be published in the first 2019 issue of Recycling International.